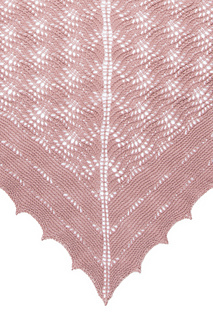 Light as a feather and a fan, Peregrine is mild and unassuming yet cloaked in intricate detail begging to take flight. 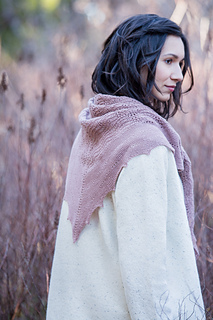 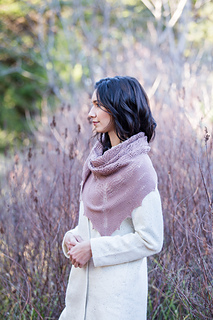 A clever half-drop pattern variation on the traditional old shale motif makes for a delightful overall ogee lace effect that sweeps right up to the edges of the shawl. 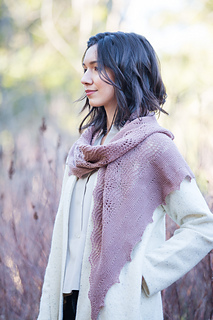 The resulting natural undulations produce delicate plumes to frame the face and shoulders. 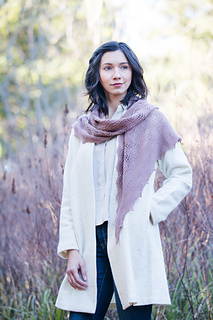 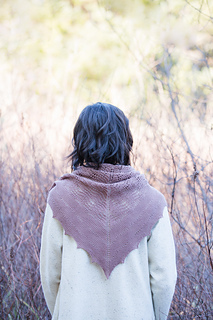 This shawl is worked flat from the top down in lace-weight Vale, starting with a garter tab cast on. 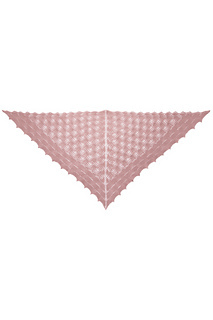 The lace motifs are worked from charts only.